Found some more public books to make start identified like the other public books. While around, fix text capitalization and a few dialogs. Part of Patch #323 Various cosmetic changes to various places, courtesy of Kevin Zheng. NPC dialogue updates and NPC face specification to Arena Snack Area (scorn/misc/battle_arena/snack) map in Scorn. Part of Patch #323 Various cosmetic changes to various places, courtesy of Kevin Zheng. Diologue update for the Medic in Arena First-Aide (scorn/misc/battle_arena/first-aide) map in Scorn. Part of Patch #323 Various cosmetic changes to various places, courtesy of Kevin Zheng. Stat changes to give an arena attendee random movement in Arena Entrance (scorn/misc/battle_arena/entrance) map in Scorn. Part of Patch #323 Various cosmetic changes to various places, courtesy of Kevin Zheng. NPC dialogue updates to Arena Entrance (scorn/misc/battle_arena/entrance) map in Scorn. Part of Patch #323 Various cosmetic changes to various places, courtesy of Kevin Zheng. Sign, item name, instruction clarification and related wording updates to various Arena maps in Scorn. Removed out of date information and text to the Welcome sign in Arena Entrance (scorn/misc/battle_arena/entrance) in Scorn. Word spacing correction in message text to Arena Battleground (scorn/misc/battle_arena/arena) in Scorn. Cosmetic change to Arena Entrance (scorn/misc/battle_arena/entrance) in Scorn. Added more fence (swall) sections for nicer merging with nearby walls. No Functional changes. 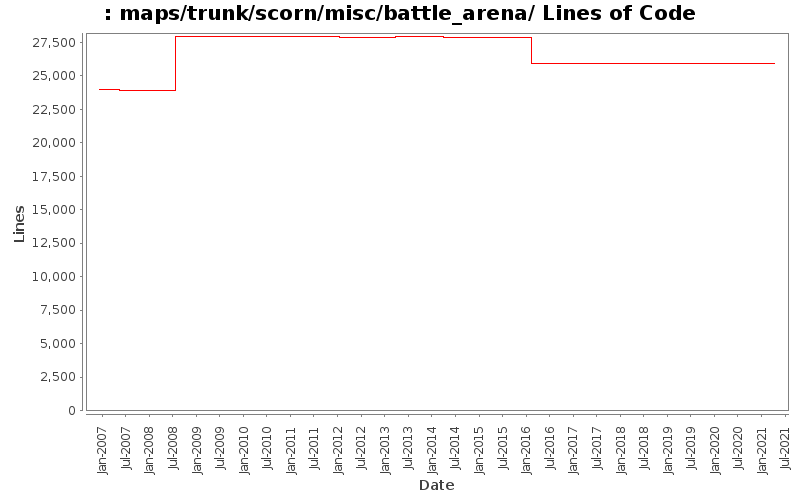 Removed forced line breaks in message text to Arena Snack Area (scorn/misc/battle_arena/snack) in Scorn. Removed forced line breaks, capitalization and punctuation correction in message text to Arena First-Aide (scorn/misc/battle_arena/first-aide) in Scorn. Removed forced line breaks, capitalization and punctuation corrections in message text to Arena Entrance (scorn/misc/battle_arena/entrance) in Scorn. Removed forced line breaks in message text to Arena Battleground (scorn/misc/battle_arena/arena) in Scorn. Removed optional swamp, replaced it with sticky floor (glue and spider webs). Added a new handle to control the archways separately from other obstacles. or swamps in some parts of the arena before entering it. Remove obsolete attributes. Other changes due to editor. and made cosmetic changes to the map. is the underground map which is not changed).